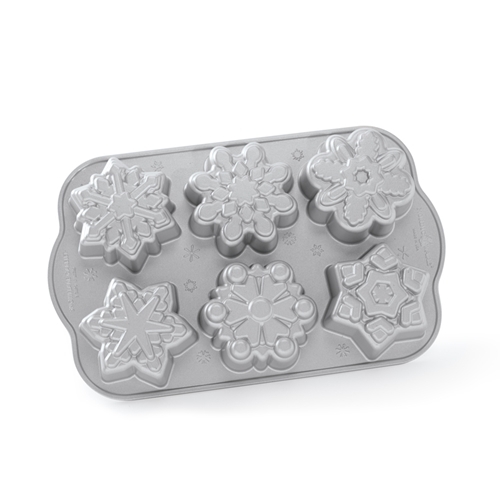 These lovely little snowflake cakelets will add sparkle to any winter gathering! A special heat reflective exterior and premium nonstick surface assures perfect results. These unique pans are wonderful for bread, molded dessert and savory dishes, as well as cake. 4. Mixes and recipes may vary. Fill the pan no more than _ full to avoid overflow.